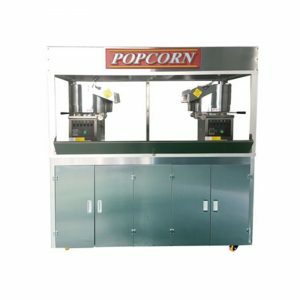 Perfectchoice for today’s mega concession stands and theatre giants, which requires high volume production within shorter time. 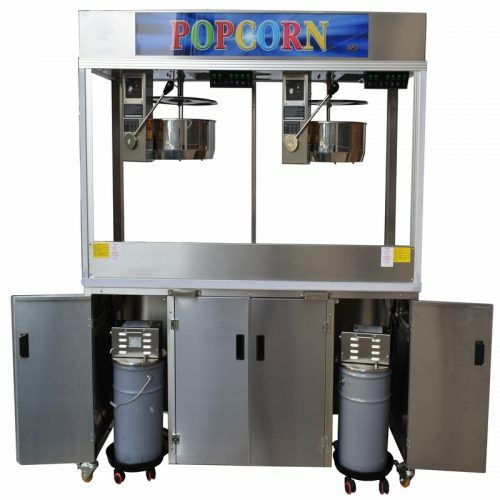 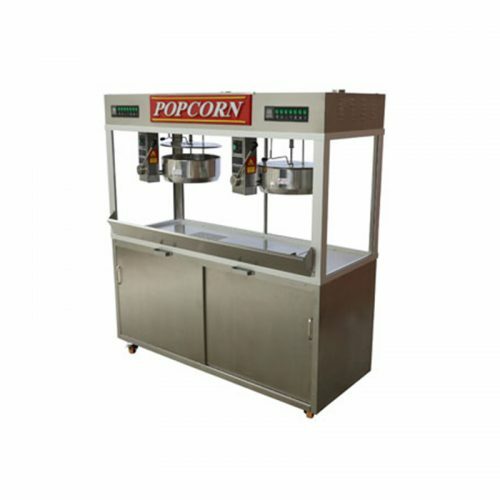 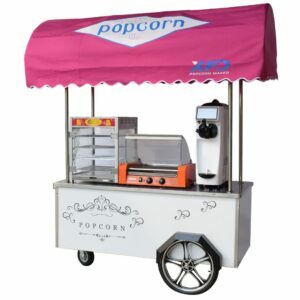 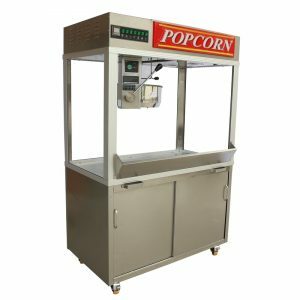 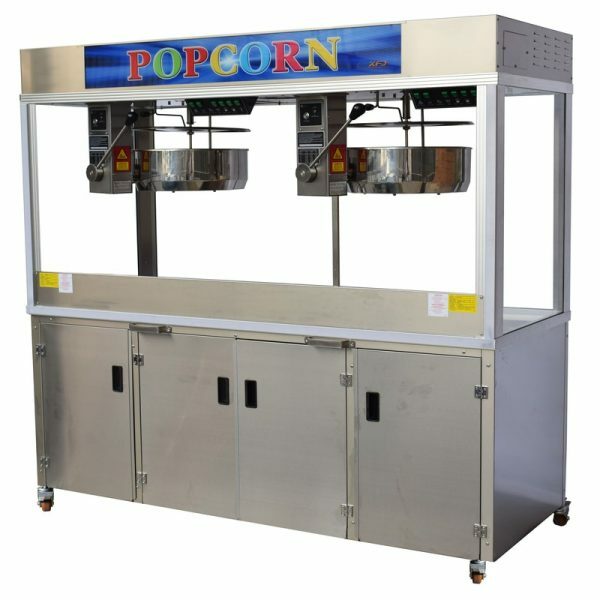 Attached with storage cabinet and automatic oil pump to make fast work of high quality popping. 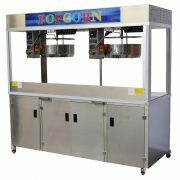 Kettles are suspended from cabinet ceiling, thus providing maximum product storage. Comes with light bulb to keep food warm. 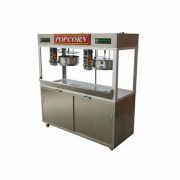 Kettle and cabinet made by stainless steel and durable.